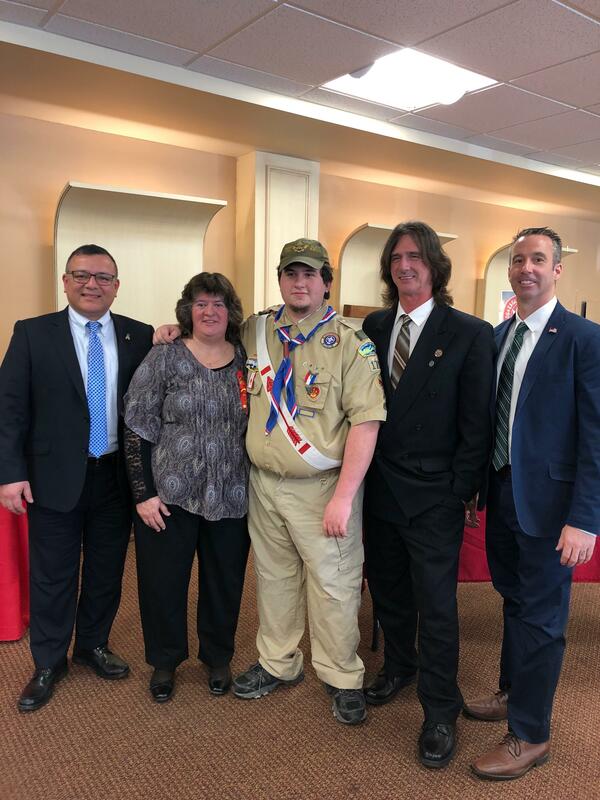 Town of Babylon Deputy Supervisor Tony Martinez and Councilman Terry McSweeney recently attended the Court of Honor ceremony for Arthur Edwin, where he was named an Eagle Scout. Martinez and McSweeney thanked Arthur for his service to his community and congratulated him on the great honor of becoming an Eagle Scout. At the ceremony, Arthur presented Deputy Supervisor Martinez with an Eagle Mentor Pin for helping him throughout the process of becoming an Eagle Scout. Arthur’s Eagle Scout Service Project was the repainting and restoration of several rooms at Our Lady of Lourdes Church. Arthur is a member of Boy Scouts of America Troop 179 in West Islip.